Dental bridges and dentures are an excellent option for people who are missing teeth. Our Wilmington dental care center has also achieved excellent results with dental implants, which are artificial tooth roots surgically embedded into the jawbone and soft tissues of the mouth. 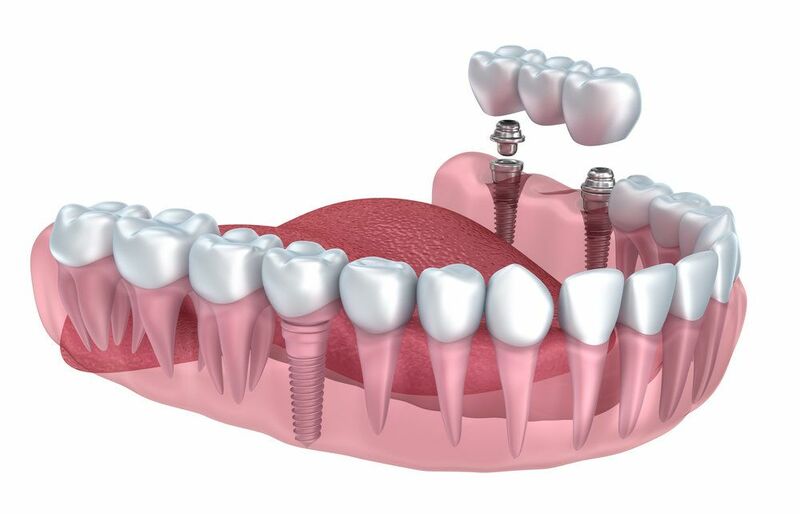 Thanks to dental implants, bridges, dentures, and individual crowns can be secured with the same amount of stability as natural tooth roots. By and large, most people tend to get dental implants placed during middle age and onward. This coincides with the common ages for age-related tooth loss and people getting dental bridges and dentures. While these are the most common ages for getting dental implants, it's possible for people to get them much earlier. Let's explore the issue of age in more detail. Can People Be Too Young for Dental Implants? Obviously dental implants should never be placed in infants and toddlers, even if they show signs of hypodontia (congenital missing teeth). Babies and infants are still growing, and these options should not be considered until their permanent teeth are in place. That said, dental implants are also not ideal for children in the K-6 age range or teenagers. Since children are still growing and maturing, it's possible that their jawbone may change over time. Placing dental implants too soon could lead to a number of problems with the maturation of the jawbone as well as the position of the teeth. When Is the Youngest a Person Can Get Dental Implants? The youngest a person can get dental implants is technically age 18, though it's pragmatic to wait until at least the mid-twenties. By that time, a patient will have full matured, meaning that oral surgery can be performed with more permanent results. Still, even the mid-twenties may be too early. During the consultation process, a dentist and oral surgeon can determine whether or not dental implants are an ideal option. Can People Be Too Old for Dental Implants? Technically the answer is no. There have been plenty of people who have gotten dental implants placed well into their 80s. With a few select dental implants, full upper dentures and/or lower dentures may be secured, restoring a person's ability to bite, chew, and smile well into their golden years. While a person can technically get dental implants well into their golden years, there are many practical reasons why dental implants may be a bad idea late in life. As people get older, their general health and wellness may prevent them from undergoing surgeries. Issues with infection, healing, and other complications can become more likely with advanced age. In addition, getting dental implants will require a months-long healing and recovery process. Some patients may not be in good enough health to tolerate this recovery process, or they may want a more immediate solution to their tooth loss. If a person has been missing teeth for many years, bone loss and gum recession will have occurred around the tooth gap. A dental implant may not have enough tissue to be anchored to because of this. While bone augmentation and gum grafting surgeries can be performed to address this loss of tissue, this increases the overall treatment and recovery time of the implant dentistry process. For more information about dental implants and how they can help you have the healthiest smile possible, be sure to contact our cosmetic and restorative dentistry center today. We will work with you to help ensure optimal dental health and wellness.